Russian stocks are expected to react today to the US Fed announcement of a $40 billion monthly stimulus program, as well as the decision by a key banking regulator to lift all interest rates. The Central Bank of Russia lifted its key refinancing rate by 0.25% to 8.25% on Thursday, after leaving it unchanged since December 2011. “That’s not too positive a factor for the domestic economic situation, as the rate growth makes borrowing for the companies more expensive,” Oleg Poddymnikov, head of investment at Lanta-Bank said. A Thursday hearing of the US Federal Open Market Committee (FOMC) resulted in the announcement of a third round of quantitative easing. The Fed said it would buy $40 billion of mortgage-backed securities every month in an effort to boost growth and reduce unemployment. Unemployment rates in the US – which have lingered above 8% since February 2009 – have become a “grave concern” for the economy, Fed Chair Ben Bernanke said. The number of initial jobless claims this past week was reported at 382,000, higher than the expected 370,000. Japan's Nikkei average climbed 1.5% on Friday to above 9,000, its highest level in almost 3 weeks, after the bold stimulus plan announced by the US. US blue chips spiked more than 200 points on the Fed announcement on Thursday. 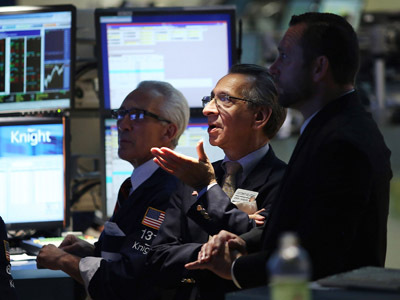 The Dow Jones gained 206.51 points, or 1.55%, to end at 13539.86. 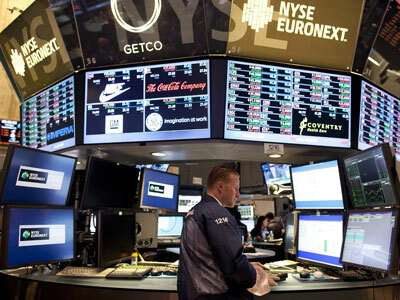 The S&P 500 added 23.43 points, or 1.63%, to reach 1459.99, and the Nasdaq rose 41.52 points, or 1.33%, to 3155.83. 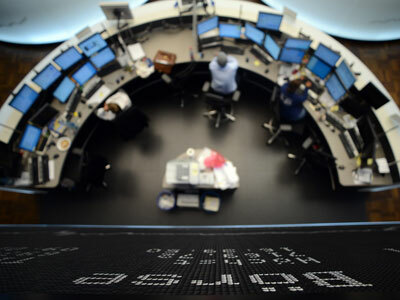 European stocks traded mixed on Thursday. The Stoxx Europe 600 shed 0.2 % to close at 272.42. The UK’s FTSE 100 gained 0.7%, while Germany’s DAX lost 0.5 % and France’s CAC 40 slid 1.2 %. Europe’s big losers in Thursday trading were European Aeronautic, Defence & Space (EAD) and BAE Systems (BA/). Shares in both companies slid more than 7% after Barclays recommended that investors trim short-term as the two aerospace giants plan a merger. 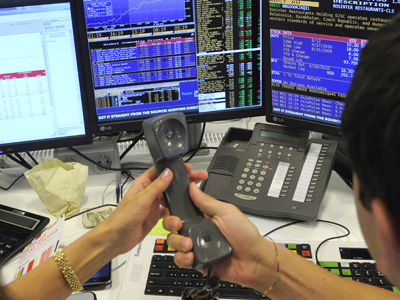 In Russian exchange markets, the RTS added 0.24% to reach 1,486.03 and the MICEX gained 1.25%, ending at 1,491.05.